Have you recently had water damage occur to your home or commercial building? Taking action immediately is critical to repairing any water damage that may affect more areas of your home. You can trust our water damage restoration company. We have years of experience working with residential and commercial properties with all kinds of water and fire damage restoration, flood damage, and mold remediation cases. Why Choose Water Damage Restoration Miami? During the process, we will use state of the art equipment and advanced techniques to remove water from your property quickly. Throughout the process, we monitor and record everything to ensure that your residential and/or commercial property is dried completely. Our team has years of experience in water restoration, the foundation of our business. With our team’s extensive training in flood damage, water extraction, Water Damage Restoration Miami, water mitigation and mold remediation we will be able to handle any related issue you have at home. In addition to this, we have been rated one of Miami’s number one fire damage restoration companies! There are multiple types of damage a home or commercial building can experience with flood damage or water damage. 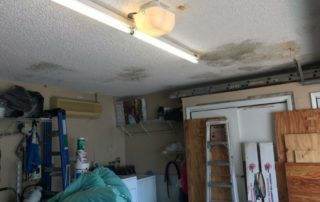 For the purpose of this article we are referring to a physical change on your property that cannot be salvaged by drying. Essentially a permanent condition to the property. 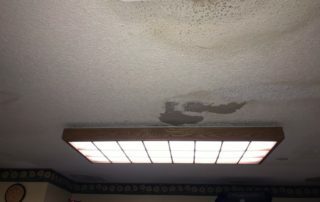 There are three main types of water damage our water restoration company will have to identify. They being: pre-existing damage, primary damage, and secondary damage. What is Pre-Existing Water Damage and what do our technicians do? Pre-existing damage has been present before there was any water damage caused by an intrusion of water. Moreover, during our inspection, it is critical that we analyze, identify pre-existing damage, and document it with all parties. In addition to this, the most important kinds of pre-existing damage a property may have is mold growth, carpet delimitation which is both tied to most water damage cases. Folding of the carpet when wet. Improperly specified carpet underlay, improper installation, improper removal of tack strip, and excessive wear. Water intrusion in any building or residential home will cause immediate damage and long-term damage as well. The damage that occurs in the moment of the intrusion of water is called primary damage as it happens within contact. Water damage that occurs after due to materials being wet for a long period of time is called secondary damage. In addition to this, water can also cause negative effects to materials indirectly. Furthermore, an excessive amount of water will lead to elevated amounts of humidity in the home. There are many materials in a home or commercial building that will absorb vapor and damage. This kind of damage is what we refer to as secondary damage. It also includes dimensional changes, microbial growth (mold) and staining. During an inspection, all structures and contents of a home must be checked for the presence of water damage both primary and secondary. The removal of permanently damaged materials in the home is done during the initial stage of our water restoration process. This speeds the drying process and will allow other materials to be saved. However, hidden damage can cause a more invasive form of inspection. The most common form kind of hidden water damage usually will occur with wall insulation. As when water is higher than the bottom plate, it results in water getting inside the wall cavities. 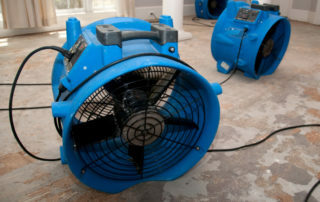 There are many tools and techniques that may be used in the drying process to achieve the goal of a complete water damage restoration in a home. However, the main question one asks is, “should we dry it”? Contamination is always the first element that we take into consideration when thinking whether or not a material should be dried. For example, a porous sofa or chair may receive more water damage and be damaged to a point that it may not be salvaged. The health and safety of our customers and technicians are the most important concern of our company! If we cannot bring an item back to its original form before the flood damage/water damage, it is disposed of. The next element we take into consideration is the actual damage an item has. If something is beyond economical repair, it is usually removed from the property. 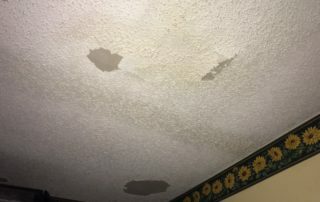 Some examples of this is a ceiling that is falling apart and furniture that is far beyond water damage repair. Lastly, the final consideration is the cost it will take to repair or replace it. Furthermore, it must be less expensive to dry an item that it will be to replace it. Here at Water Damage Restoration Miami, our experience has shown us that the most effective way to speed up the drying process is by removing the most amount possible while it is still in its liquid state during the extraction. Moreover, poor water extraction will lengthen the drying process significantly. Furthermore, extraction and evaporation are the only two essential ways water may be removed from a property that has water damage. Lastly, the most critical thing during the extraction is not how much water is removed, however, how much is actually left behind. If deep water extraction is not available, we will have to remove all carpet cushioning to avoid prolonged drying times. 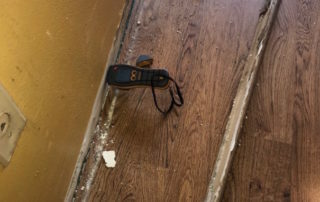 If the carpet is not removed, excess water will remain under the carpet raising the possibility of there being secondary damage to the residential or commercial property. Moreover, resulting in needing more time and needed equipment to fully dry the home. With our water damage restoration company we make sure your home is left looking brand new! When hardwood is undergoing the drying process, full extraction of the water is 100% necessary just as any other surface. 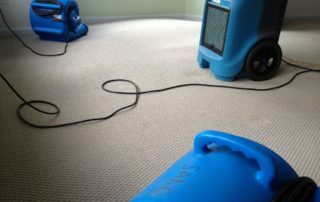 Hardwood emergency water damage Mats are used being placed on the floor and attached to the vacuum. Further, the amount of time needed for a full extraction is dependent on the amount of water present on the floor. The process is fully completed when it is fully visible by our water damage technician that there is no more water visible. Standing water in a basement or crawlspace will exert pressure on the wall and foundation of the property. Removing interior water too rapidly, combined with the pressure present outside, could result in structural damage to the home. Moreover, if water is not reducing at the technician’s expected rate, there is a possible water from outside is entering. Our flood damage restoration experts prevent this problem by calculating the amount of water present in the area to determine the flow rate needed to remove the water to avoid any structural damage to the property. When our technician’s inspection is performed properly, we are able to see the progress made in the property. In addition to this, more critical than the beginning amount of water in the property is how much of it was removed and extracted over time. Frequent inspection during the water mitigation process by monitoring and evaluating the property is performed by our water restoration technicians to accurately see progress. The drying process is not fully complete until all of the materials that have been affected by primary or secondary water damage reach our drying goals, a.k.a a dry standard meaning obtaining a moisture reading of a material that has been unaffected. Our home water damage company ensure an effective dry standard by using this reading. It is determined by using an unaffected material and comparing it to the affected giving us a goal that needs to be reached. This allows our technicians to use it as a reference as it allows them to see normal moisture levels in the environment. The moisture sensor is the elementary moisture detector instrument. 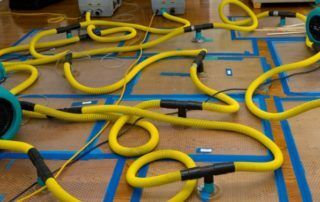 Furthermore, it is made to test and detect high levels of water vapor or water in carpets and any underlay in a house that has water damage. Thermal imaging Cameras are the next set of tech that is used to measure thousands of temperatures across any individual surface. The temperatures are seen in a photo which will represent where there is water on any given surface. Moreover, the first way that an infrared camera will detect water is by the effect of evaporative cooling. In other words, by showing the cooling effect of evaporating moisture. If you have any questions or are in need of an emergency water damage restoration company call us today! Water damage to every home or commercial building always varies. However, the general system of water mitigation stays the same. Contact our water damage repair team as soon a possible. Water Damage Restoration Miami has been rated one of the best restoration companies and is Miami’s trusted water extraction company. We offer Mold Remediation, Odor Removal, Water Mitigation, Flood Damage Restoration, and Fire Damage Restoration. We are the number one water extraction company and water mitigation company in Miami. Call us today and have one of our specialists schedule your FREE inspection. If you’ve experienced flood damage and need an immediate inspection call us today at 305-363-1125! We are Miami’s local and trusted restoration company. We focus on Mold Remediation, Water Damage Restoration, Flood Damage, and Fire & Smoke Restoration. If you have any questions call one of our team members today. If you recently experienced a fire in your kitchen or building and need immediate restoration we are here to help! If you are experiencing mold growth in your home or building call us now to schedule your mold removal inspection! We are the top mold restoration company and operate around the clock to aid you during an emergency. The majority of homeowners underestimate how water damage may occur. Unfortunately, bad weather is just one variable considering over 90% of the emergency calls we receive are due to failed plumbing systems, burst pipes in ceilings, and damaged roofs causing leaks. Miami is a region that is very susceptible to damage due to the common heavy rain we experience throughout the year. Furthermore, it is likely that your home or building may face water damage unless you have had recent repairs. Restoration services are critical in commercial buildings, especially apartments, as customer dissatisfaction due to lack of maintenance proves difficult in improving living spaces and/or retention. It is important to take notice that flood damage and water mitigation cases in Miami are not rare. It only takes an uncontrolled source of water in any area of your home or business to potentially cause serious damage. In addition to this, any leak that has not been attended to will eventually cause mold to grow in the area which can cause health concerns. Any small drip from a faucet in the kitchen ceiling or bathroom could result in a pool of water if conditions are present. Flood damage has always been placed into two classifications, black and gray water. Blackwater found from outside water and gray water comes from within your home or building. Although you would think visible water in a property would be the most obvious sign of flood damage, there are many other indicators in Miami. Moreover, rusted pipes cracked walls, and damaged wood surfaces are signs of needed flood damage restoration. 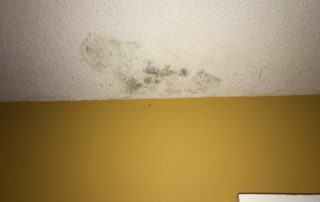 Mold and algae formation needs a substantial increase in humidity. If you see any stains on your ceilings it is a definite sign of a water leak in your home. Call us today to schedule a free inspection. If you suspect your home or building may be experiencing water damage, time is crucial to the restoration of your property. As water is left in an area, the humidity will begin to increase and it will not be long until mold begins to form. This may lead to serious health concerns and cost that are considered during the mold removal process.